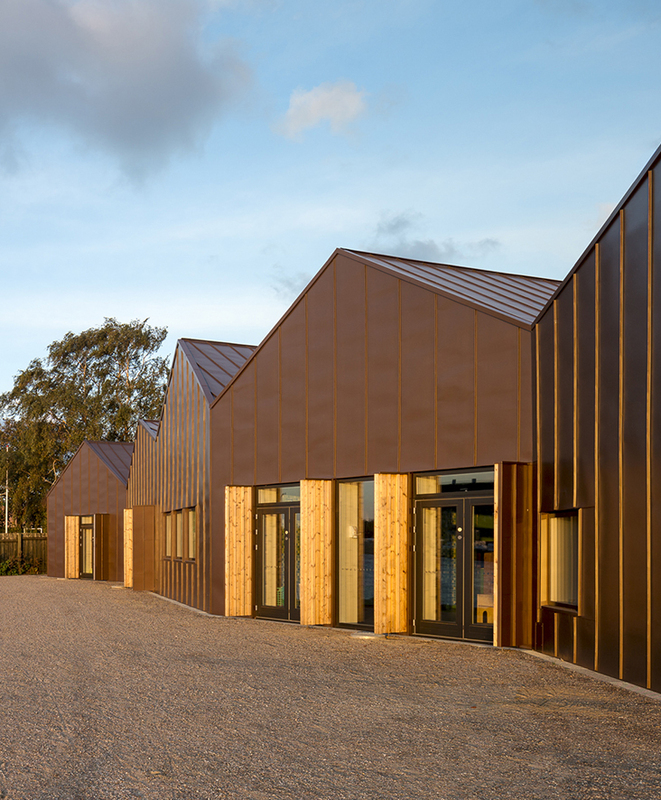 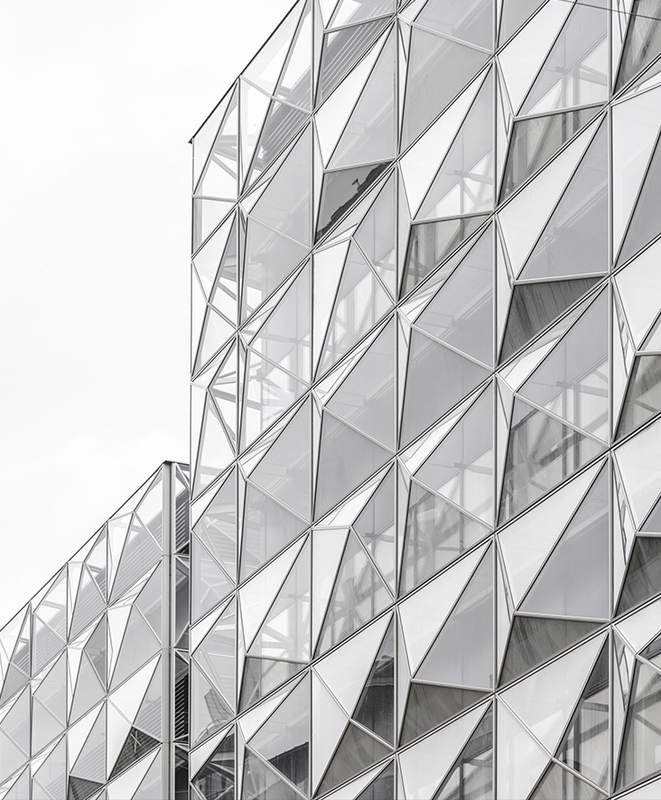 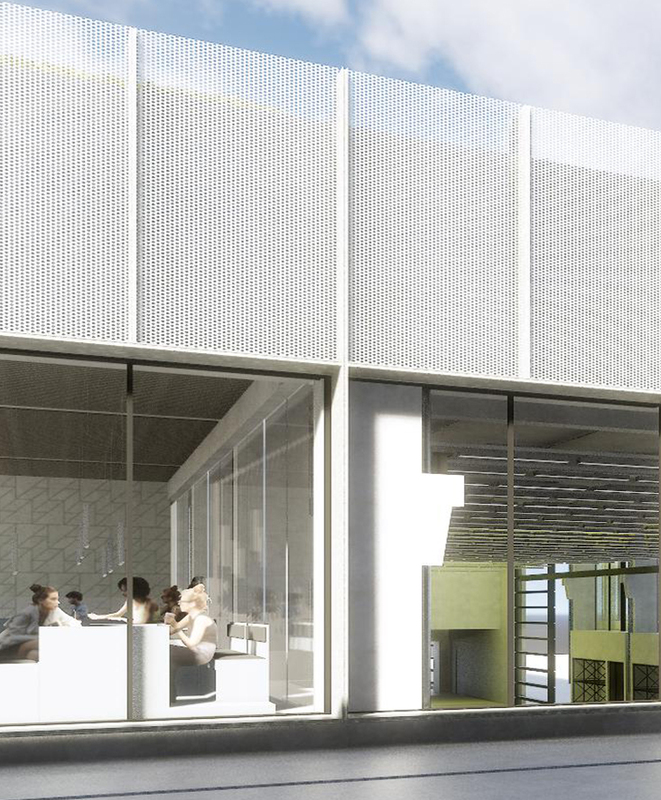 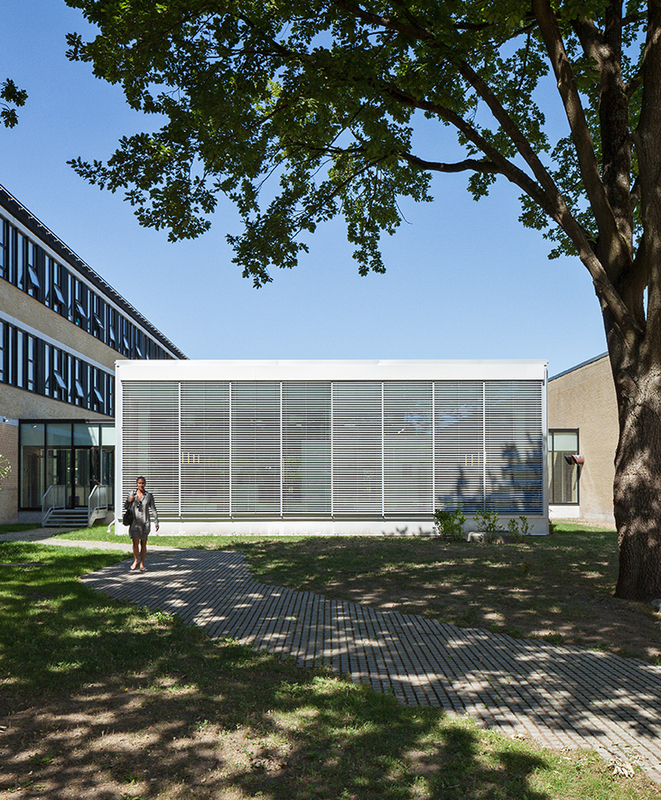 Green Lighthouse is the first public carbon-neutral building in Denmark. 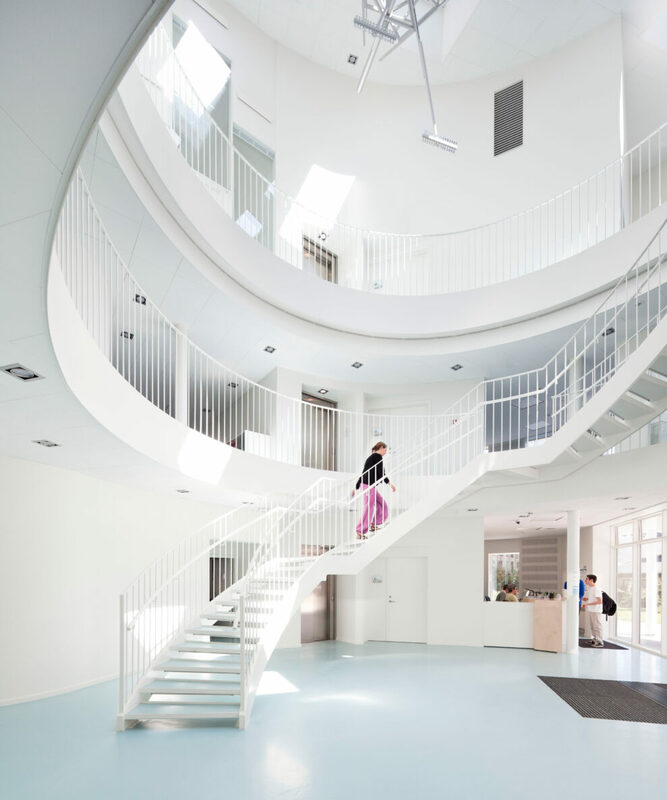 The circular shaped building creates a calm focal point in an area characterised by several different building styles and a myriad of odd angles. 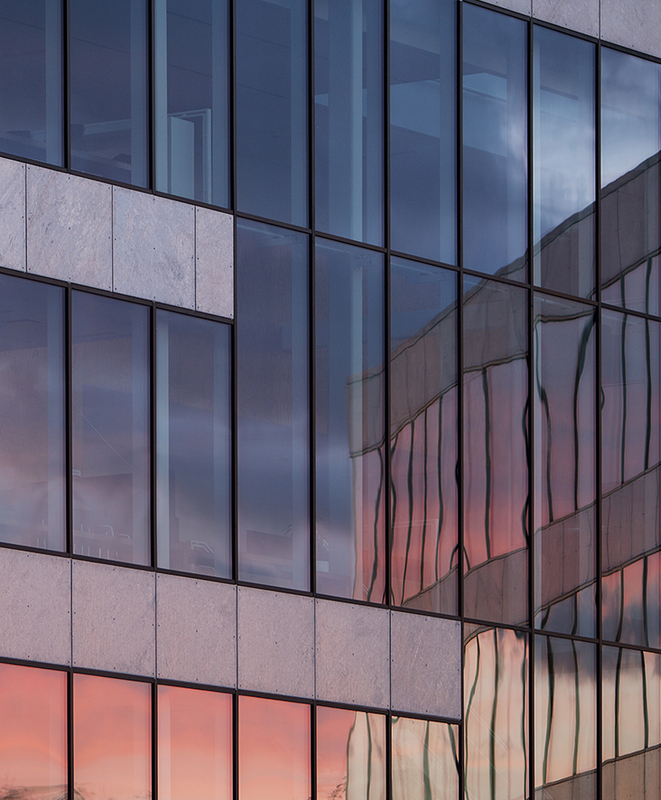 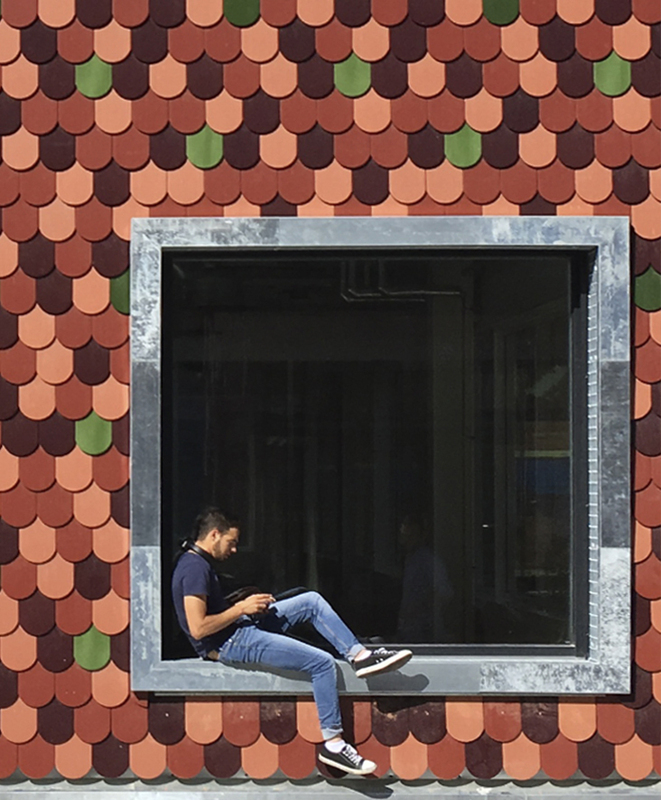 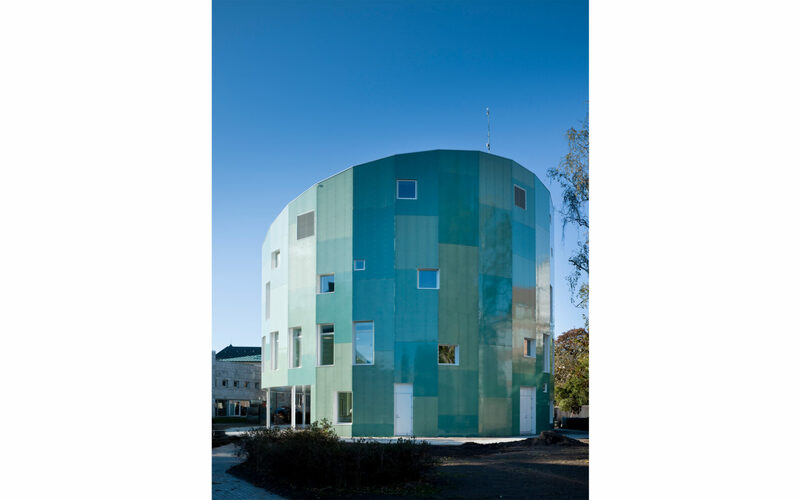 The green translucent composite façade transforms the area’s corroded copper roofs into a reflective facade, which act as a dynamic contrast to the neighbouring buildings. 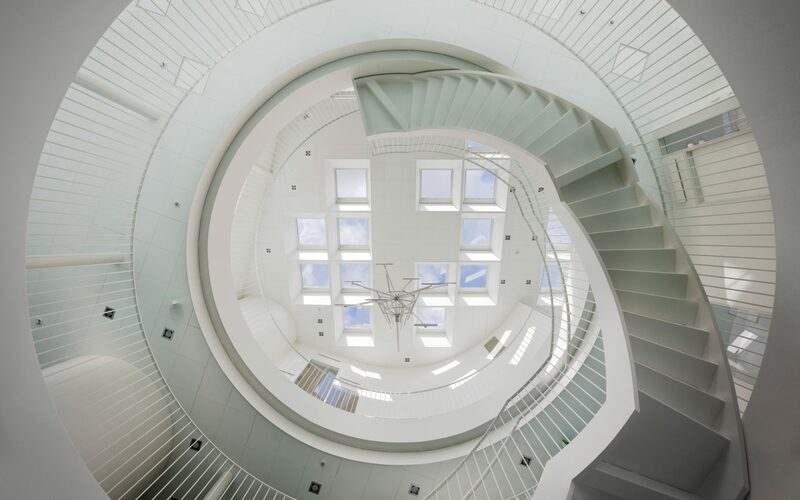 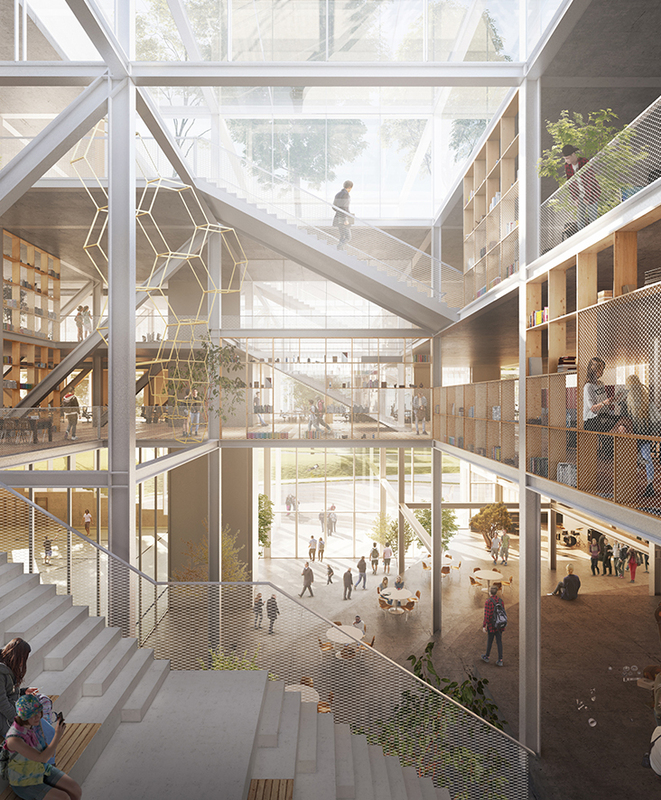 Inside, the circular design continues as the central concept of the building, where a lightweight stairway following the round shape up through the interior of the building towards the skylights. 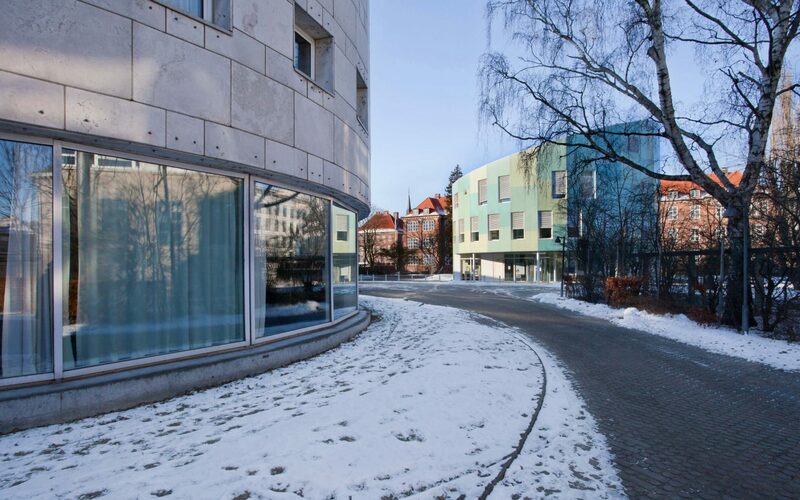 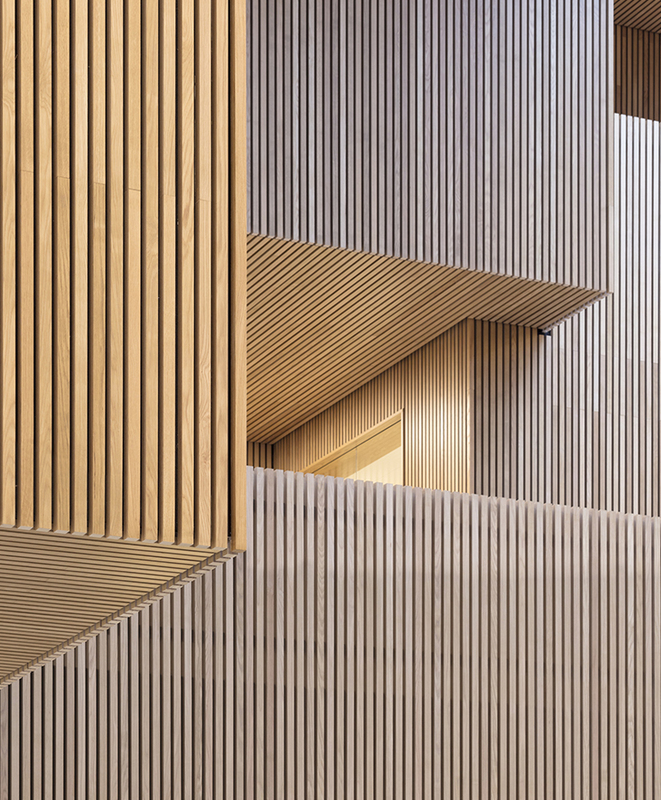 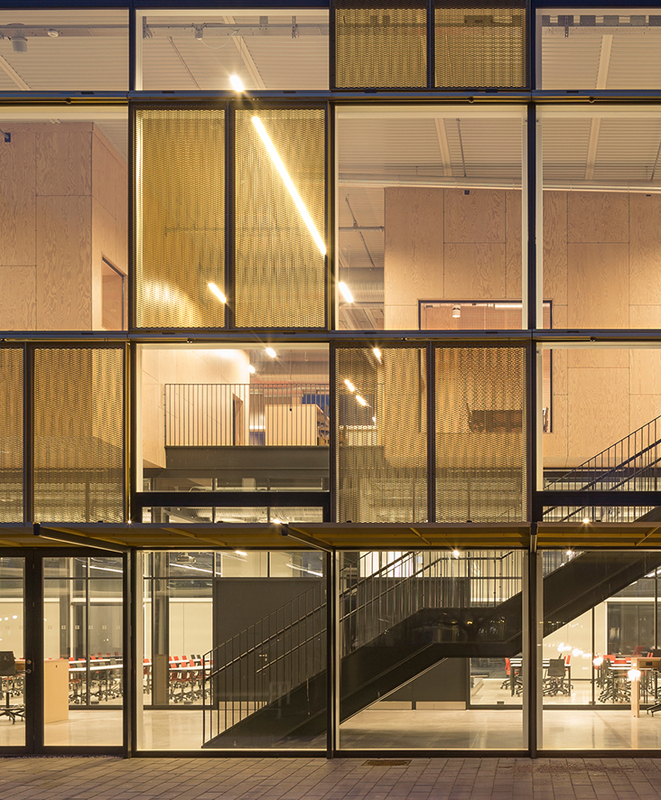 Green Lighthouse is a social and academic focal point for the Faculty of Science campus at the University of Copenhagen. 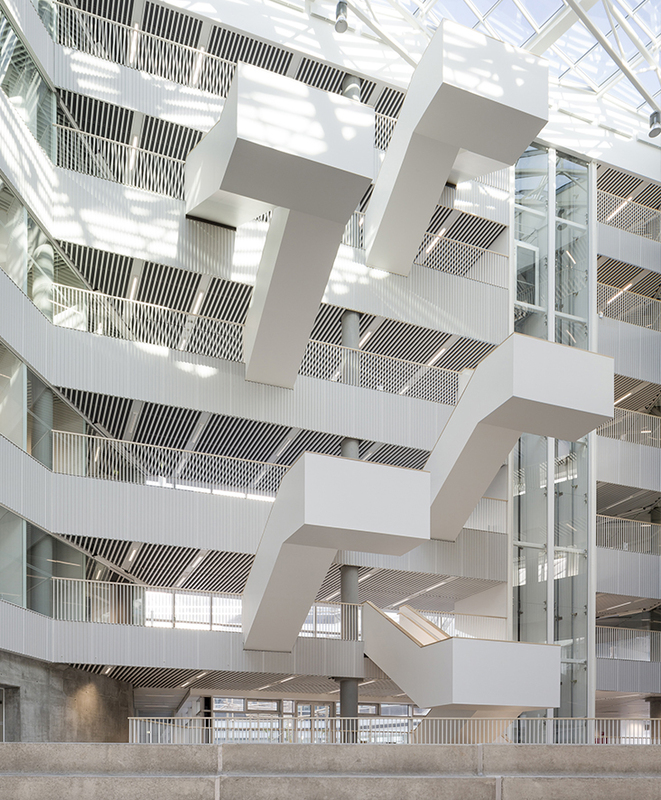 Each floor has study areas, and right at the top is the Faculty Lounge with a large roof terrace. 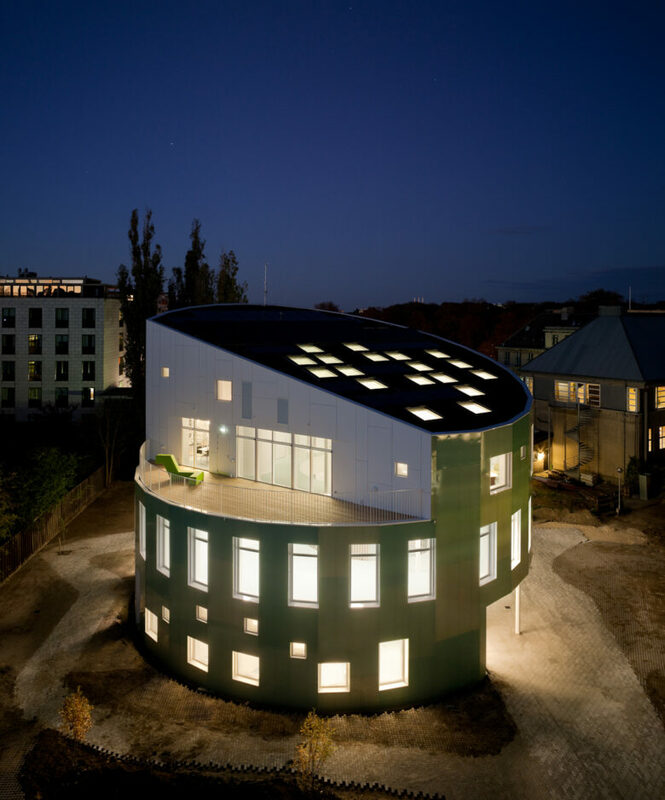 The circular shape plays a key role for the energy profile of the building, as it provides the largest possible volume with the smallest possible surface area, resulting in very low heat loss.